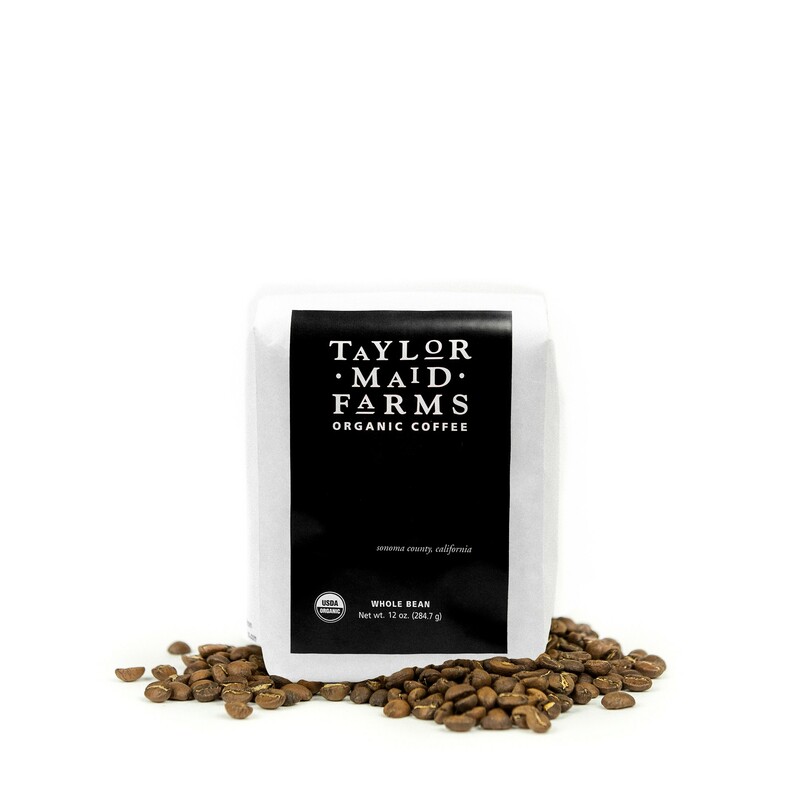 The Red Rooster's French Roast Organic Blend was blended and roasted for you by Taylor Maid Farms. This coffee is a custom blend of Organic certified coffees from Peru and Nicaragua. Enjoy the bold, robust and bittersweet coffee, perfect for the French Roast lover. I liked this one, good flavor, bold but not overpowering. a little over-roasted. tough to pick up on some of the flavors because of this. I would like to taste this same bean, but more of a medium roast. It had a good flavor but was surprisingly weaker than I had expected, which is why I gave it a lower rating. I was able to get it to the richness I like but had to brew 8-9 cups worth of bean with 6 cups of water. Good bold and robust dark roast taste, but not as rich and smooth as I would like in comparison to my preferred espresso beans. too dark. Makes a strong cup. We liked this coffee okay. It had a bit of an aftertaste we didn't love. It isn't a bad coffee, just not our favorite. Little too robust and dark (almost burnt flavor) for my taste. Strong roasted flavor but not much else. Not bad coffee by any means, but the lack of complexity makes it a little boring. Decent smoky/earthy tones with a very full body. Everything you'd expect from a quality French Roast. I would like to try something a little more in between medium and dark roast, and I am really a fan of the nutty/woodsy type of coffees. However, as a first from this subscription, I'm glad it was this. It's good, but doesn't have the depth of flavors we were hoping for. This is my first coffee from misto box and I'm really impressed! The coffee showed up at my door 2 days ahead of schedule and I basically made my self a cup in my Aeropress right away. I'm pretty sure this is the first time I've had a cup of coffee less than a week since it's been roasted. I love this coffee it's really bold yet smooth and has a nice toasty dark chocolate after taste. The only reason why I have not given it 5 stars is because I don't have much to compare this too in my coffee exploration except maybe Peet's major dickasons blend.... and this coffee blows that out of the water. Can't wait to try more amazing coffee! I think this is a solid French Roast. I love that the packaging comes in compostable bags. This is OK-good. Like 3 1/2. It wasn't anything great but tasted OK. I was hoping for more. I made some French Press and auto-drip with this and both were just OK, 'normal coffee'. nothing bad but hardly great. Kind of acidic. Seems I have to use a lot more grounds than usual to achieve better flavor. Just a little boring with not a lot of depth in my opinion. I love all of Taylor Maid's coffee! I haven't had one roast you et that I didn't like! I had a hard time tuning the grind, but even when the extraction looked good and timed well, was unpleasantly bitter. This is a strong, solid coffee that I could see myself regularly purchasing; however, it wasn't exceptional. I wanted to mark this "OK-Plus" but didn't have that option. Red Rooster was definitely spicier which i prefer but like the Deep Space the flavors and finish sort of disappear in the middle of my palate If there is an option with the spice of Red Rooster with a more robust mouth feel i would like to try that. I appreciate your approach, particularly with the roasting done the day of shipping. Not sure how you accomplish that unless your roasters are equipped with numerous sample roasters. The good old days here in the Bay Area with Peet's delivering fresh roasted coffee every three days to their company stores is, sadly, no more. Not a fan of this one, left a bitter after taste. A little bitter, not as smooth as other roasts. Would characterize as a bit astringent. I make exclusively cold brew, so I was surprised that the flavor was still a bit bitter and acidic considering that I did not drink it hot. I would prefer a darker roast. It seems a little too bitter for me. It was dark and delicious. So drinkable! This fits what I like about drinking coffee black, has a nice bold and full flavor, Not very acidic, the only negative is I don't love the lingering taste at times. I've loved every coffee we have received from Taylor Maid Farms! Great coffee. Deep, rich roast. Not overly acidic. Great balance of flavors. The last dog was sitting on the porch. This dog can hunt. Gonna be in my top 5 coffees now. It didn't have a lingering after taste which is the first thing I don't like about coffee. An excellent dark roast that didn't taste burned. That's about the best I can do right now. I just know it taste good and Samantha nailed it. Very good, but darker than I prefer. Tasted good, but we would not want it to be any more bold than this. A little more "smoothness" would be nice. We'll trust you from here. The coffe was ok, but not great. I would prefer something a bit less "earthy". May go a bit lighter on the roast next time around. Superb!!! Love this coffee. Please send more like this! This was a great pick. I definitely would purchase again. Would also like to try something that has that has that great coffe flavor but a little less bold. Slightly too bittersweet for our taste. We like the smooth hints of chocolate but overall, was a little too dark. The coffee leaves a chalky aftertaste. It took a few cups for me to get used to it. While it is certainly a quality blend, it is not my favorite. Nice roast flavor, little bit of sweet, enjoyable. Too bold for me! Beans looked very greasy and oily before grinding, only to get stuck on the walls of my grinder. Pour over color was very dark, almost like a rich chocolate cake. First sip was punchy and bitter. Body is small at first, but it grows nicely on you. I can appreciate a French Roast every once in a while, and this is a good one at that, but not my everyday cup. Smooth and strong with no bitterness and rich flavor, just like a good french roast should be. I rated this only two stars because it's the type of dark roast I like now and then, but not as my everyday coffee. I dislike French roast. It is too bittersweet for me. Great nose on this blend, as well as a great tasting representation of a French Roast. i like the earthy tones in this one. it's a nice dark blend. am curious what it would be like with a hint of nutmeg or cinnamon, may have to try that later on the next cup. i like my coffee straight, no sugar or milk, but every once in a while i like to add a little bit of cinnamon or nutmeg to the grounds. definitely like the aroma straight out of the package. Definitely a pleasurable cup of coffee that went extremely well as a filter-brewed cup off the Eva Solo, and versatile enough to cover stovetop espresso. This coffee is delicious. It's dark but not bitter, I definitely want more like this one. Found this to be a little too light, not a real distinct flavor! Chocolate and smooth. I liked this with and without half and half. I think I would like to see more complexity and maybe a bit less dark. This one was sour, and had a bite we didn't really enjoy - not a lot of flavor to accompany the kick. Bolder than Taylor Maid's Goat Rock blend - a medium dark roast. I was tired of it by the end of the bag. It wasn't very dynamic. Good, but Equator and Verve were better, with Verve being the best so far. The Red Rooster's French Roast Organic Blend, as my first truly fresh coffee, was a delight. To the nose, a soft yet complex aroma wafts from the first sip to the last. To the palate, bold yet sophisticated. This roast is a truly remarkable masterpiece. Good but a little strong for me. This makes a good cup of coffee, but it has to be very hot to enjoy. It has a sour flavor that comes out quickly as it cools. Once again another rich, elegant, robust blend that along with the fresh roast just is a joy to wake up to in morning! Desire coffee blend with more nutty finish with hints of cinnamon. My favorite is toasted southern pecan and sinless pastry. This was a very fresh coffee and I appreciated the boldness of it. It had a nice finish, however I was expecting it to be slightly bolder in flavor. Solid, very Italian dark roast coffee. Pairs well with milk. Simple but smooth flavor. Very earthy and a bit too smoky for my tastes. I would like it every now and then (maybe on a cold day in January) but wouldn't consider it a daily drinker. My girlfriend said that it's a "milk and sugar" coffee for her... So going this route is probably not advisable for future coffees. Another great coffee! Really dark and strong. Beans roasted very dark and oily. Made for an somewhat bitter cup, though not un-drinkable. If you're not into very dark coffee, I would avoid this one. Not the worst cup we've ever had but the aftertaste was a little unpleasant. Looking for something a little more adventurous. Not bad! It had a bold and smoky aroma. The taste was flat bitter, but not complex and it wasn't full-bodied. The espresso's crema was thin and watery. Really great cup of coffee! Has great notes of cocoa and nuts. The whole house just smells amazing whenever we have a cup of this wonderful French roast. Love this coffee. Becoming a fan of Taylor Maid Farms coffee! This one didn't impress me much. I have yet to use French Press with it, which may be a huge improvement, but it again seemed a bit more acidic than I'd like. Overall, I liked this coffee. The bold, robust taste, coupled with the punch of the aroma definitely did the job to wake me up in the morning. I enjoyed the bittersweet notes in the coffee as well. If I did have a criticism, I'd say that the coffee did sometimes come across as a bit one-note. While the coffee consistently provided a bold punch of a first sip, that punch was not followed up by another flavor note. I suppose I was left wanting for a certain sweet or floral taste that just wasn't there. I thought overall it was a great cup of coffee, though. Enjoyed a rich full flavor. Beans are nice and oily and smell great. This coffee is a little middle of the road for me. I like it fine, but feel a bit neutral about it. It tastes pretty mild to me, which isn't necessarily a negative, but I expect to find some exciting flavor notes in a mild coffee and I just don't really get much with this one. Really nice french roast that produces surprising crema via aeropress and holds up well to drip. Obviously the roast profile of a french press, but not over burnt -- even as espresso shots it's inherently sippable, with a sweet finish! So why not 5 stars? I guess I am an eternal pessimist, or perhaps a pragmatic optimist that feels there's always room for improvement...honestly no complaints with this in my cup! good flavor but not my favorite. I'd drink anytime but if I'm buying I'd go for something else. Cold brewed with toddy. I liked it, preferred it in the aeropress to the french press. Overall good, but a little on the bitter side for me. What an excellent cup of coffee. It has now become one of my favorite French roast. So glad I got to experience such great coffee. Big, bold french roast that came across smooth. Not a huge flavor profile, but enough to let you know you're drinking something solid. Wife's approval. And I find it thoroughly enjoyable, too. A good choice in the ultra darks. A quality french roast style coffee. Holds up to a lot of cream and sugar. Closer to my tastes. Still prefer a darker roast. This is a little on the lite side but has good flavor. This was my 2nd batch from the Taylor Maid Farms, and I am still happy with the taste, aroma and strength of the cup. It wasn't as good as the Goat Rock Roast blend, but it was almost as good as it was. I might have found a really good roaster. Brew this cup a little on the strong side and you will be astonished at the depth, harmony and round bouquet of the entire sip! I LOVE this brew. For my palate this is a WINNER. This one is easy to drink and we liked it. Didn't leave a bitter after taste. We are still looking for a strong coffee yet smooth finish and this one didn't fit the bill just yet. Beautiful bitterness ... big earthy tone for such a dark roast. This coffee is great from a French press, but doesn't quite offer the subtle sweetness wanted when brewed using a Moka pot. It has a nice bold punch, but while billed as "bittersweet" comes across simply as bitter. Tried giving it zero stars, but I don't think the review worked. 1 star only because 0 isn't an option. Taylor Farms is a massive food company, this coffee is "roasted" like they are a massive company. Difference between this and Folgers is that Folgers is a coffee specialist. Picture Pizza Hut having a roast they sell out of the pizza shops, I imagine it would taste like this. Disappointed with this one and think it should be taken out of your shipment program all together as it doesn't exemplify what the concept of your company is all about. I liked this one very much. Robust, smooth, notes of chocolate from start to finish. Well balanced, earthy and nutty. Not a big fan. 2 stars because I did brew the whole bag, so it was drinkable. The beans were oddly shiny and over roasted. It was extremely bitter and all hints of any expected flavors were lost. Do not pour over. Coarse ground brew only. I do like a good French Roast. Moreover, I like a good coffee I can drink black, as I hate adding lightener and sweetener. A little smokey for the morning, but very rich and delicious. Rich, dark aroma. Very satisfying. I very much enjoyed this in a french press. Rich, bittersweet deliciousness perfect for mornings. This is the sort of coffee you can stand a spoon in. The biodegradable bag was a plus. Very oily and bland taste. Strange aroma. It was so oily I couldn't even try to drink it. It would probably ruin my grinder. Dial your French toast back a few mins. I am usually not a fan of French Roast coffees, but this one is exceptionally good. My usual reactions to French Roast include that they are too earthy and are bordering on smoky in flavor--smoky as in cigarettes, not as in lovely hickory smoke. This one has the earthy and smoky flavors, but they are balanced well in this blend. I am a fan. Delicious...One of the best so far! This is the best coffee I have had so far. It is hard to describe awesome...so I will say it is awesome!